The legal profession has undergone a lot of change and embarked on a lot of soul searching over the past few years, but don’t dismiss it as an anachronism just yet. As the web changes the way citizens consume and digest information — always faster and in greater quantity — it seems likely certain lawyers will find themselves retaining their positions of power, still able to command whatever rates their hearts desire. Already, legal journalists are taking on a role that makes them akin to law professors for the general public. The subject of legal reporting and constitutional interpretation was the subject of a recent panel discussion at Yale Law School’s Information Society Project, during which the panelists — all of whom are journalists who also have law degrees — seemed to agree there’s a big difference between presenting a legal argument to readers and presenting them with what they need or want to know. For instance, she pointed to the Court’s recent granting of certiorari in Fisher v. University of Texas at Austin: one could state, “‘Here’s just another affirmative action case, or you can invest in some time thinking about it,’” she said. Savage noted that his own story on the the Justice Department attacking the Defense of Marriage Act would have been on the front page had he emphasized the political angle. However, even journalists are losing their gatekeeper role to Twitter, it appears. Or at least, their medium for getting heard is changing. In the same panel discussion, Slate‘s Dahlia Lithwick expressed her wonderment at how Twitter has overtaken print media, television and blogs as the primary source of constitutional ideas for a large segment of the public (although some surveys suggest otherwise). The media evolves at a rate much faster than does the law. “A constitutional arc that is decades long[,] and the media arc are changing by the moment,” Lithwick is quoted as saying. If you’ve read Nicholas Carr’s book The Shallows, you’re aware of how our online reading habits actually rewire the circuitry of our brains. For better or worse, heavy web users are skilled multitaskers and likely know a little bit about a lot of subjects. Our brains are good at jumping from one thing to another without missing a beat and we can consume lots of information. But the omnipresent diversions of hyperlinks, ads, emails and instant messages often results in poorer reading comprehension than if the same information is consumed in print, according to numerous studies Carr highlights. Headlines become increasingly important, because there’s no guarantee readers will go much further, at least with their full attention. Long sentences, for the most part, are not welcome. And then there’s Twitter. Not only is it another potential distraction, but it’s also an increasingly common source of news. And if users don’t actually read the articles their contacts share, just the thought preceding the URL, it’s also a very pithy one. One hundred and forty characters might be fine for some personal banter, but it’s not ideal for engaging in deep discussion on complex issues. It’s terrible for nuance. This paragraph alone is 465 characters. So we don’t read deeply. Why’s this good for lawyers? As another juris doctor who calls himself a journalist, I can say firsthand that the world of the law and the world of the web are not even in the same ballpark when it comes to how information is written and consumed. Studying the law and arguing cases is a practice in nuance; an exercise in finding the needle in the haystack that supports your argument, and being able to interpret ambiguous case law and statutes, always with ample proof to support your claim. To do it well, you might have to read and deeply understand hundreds of pages just to support a single point, and you’re always dissecting authority with a fine blade. While technology is democratizing access to lawyers and even rendering them obsolete for some menial tasks such as drafting documents, it’s making their particular blend of knowledge and nuance all the more unique. (For a great discussion of how these technological changes might change lawyers’ jobs or reduce their numbers without ever destroying the profession, check out this Nevada Law Journal article by St. Johns University law professor Paul Kirgis.) The Supreme Court is going to keep handing down decisions that have meaningful, if not obvious or easily explainable impacts on our lives, but don’t expect a 140-character opinion (heck, a 140-character sentence!) anytime soon. The public might not be engaged in deep discussion about what those decisions mean, but tucked away in their high-rise offices, lawyers will be. I’m not certain the evolution of media ultimately changes the public’s relationship with lawyers, but it does keep the ones who still have jobs in a position of relative power while other professions — journalists among them — are seeing their lofty statuses called into question by technological advancement. Even as we consume more information than ever before, only an increasingly select group is willing (or forced) to take the time to really understand it. All the lawyer jokes in the world haven’t got rid of them, and it doesn’t look like technology will, either. Feature image courtesy of Shutterstock user EmiliaUngur. Standard legal work would most likely be the first to go (I.e. drafting documents, opinions on settled legal questions, examination through interrogatories, etc.) Anything that can be put down into a template will be outsourced to knowledge-processing companies. 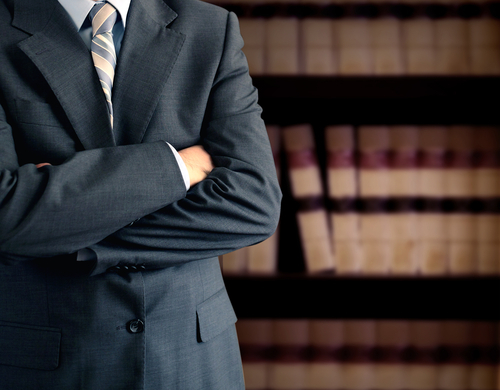 Legal expertise can then focus on novel and difficult questions of law, and appellate practice. Anybody who thinks that even “mundane” legal work, including drafting documents, providing opinion letters (i.e. applying the law to facts), or examination through interrogatories, either had not actually performed these functions in the real world or greatly overestimates the state of the art in knowledge processing. While we may reach a point where these types of functions can be automated, we are still a long way away from being able to do so in way that actually approaches what an experienced lawyer can bring the table. I don’t know if I agree with that, but it would take some re-training for many lawyers to speak to a general audience. My point, though, in the post is more about how journalists are losing even their limited ability to inform the public about the law. It’s too bad that some journalists don’t think they need to understand patent law to write about patents.